MJ has been traveling for work a fair amount lately. In June he was in Washington state, then he was off to Texas. He’s spent the past week and a half on the east coast. Add in work and both of us entertaining friends we had visiting lately, we haven’t seen a whole lot of each other. I was pretty disappointed when I learned he had to extend this latest work trip by a few days. Instead of coming home Sunday, he returned on Wednesday, just hours after I left for my next trip! Thankfully I was just heading down to Los Angeles for an event and came home Thursday morning. I finally got my husband to myself this past weekend! I kept busy on the home front while he traveled, including the meetups and another trip to the California Academy of Sciences I talked about here. The morning following the Redis meetup at work I had to spend a couple hours taking Caligula to the cardiologist. I wrote about this a few weeks ago, but he has high calcium levels according to a few blood tests. They are high enough that they need to be treated before it does damage, so the first order of business is finding out what is wrong. During the diagnostic tests they found an abnormality with his heart. We still don’t know why his calcium levels are high, but we’ve ruled out some of the major issues and now his primary doctor wants to craft a treat-the-symptom plan. But first, she wanted him to see a cardiologist, since typical treatments like SubQ fluids and steroids can impact the heart. Our regular veterinary practice doesn’t have a cardiologist in their rotation, so he was off to SFVS, a hospital we got very familiar with as Simcoe went there routinely for care during her last few years with us, and so we were back again! 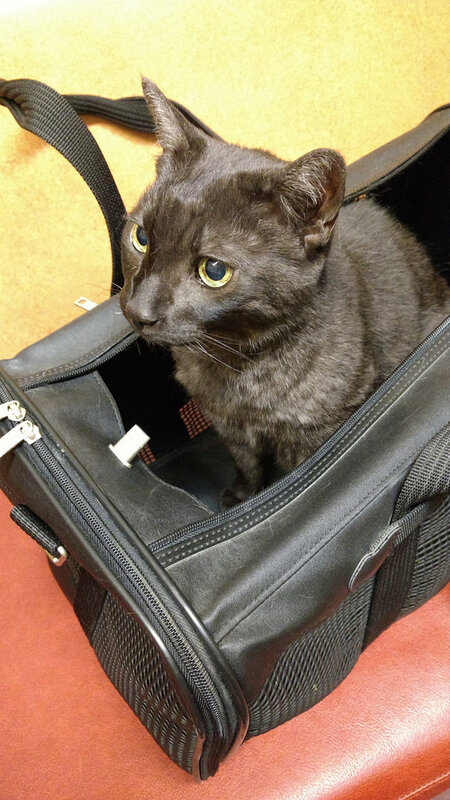 In spite of friendliness at home, Caligula is never very charming when he visits the vet. Thankfully, he was on his best behavior this time. The physical exam went fine, and since he was being so chill they figured they wouldn’t have to sedate him for further tests. Great! He was whisked away into the back for an ultrasound preformed by the cardiologist, as well to get his blood pressure checked. The result? He has been diagnosed with mild hypertrophic cardiomyopathy (HMC). Right now it’s only noticeable as part of his heart being abnormally thick, but he’s asymptomatic and the only advice was to keep an eye on it with annual checkups. Calcium treatment-wise he gave the green light for any treatment his primary vet orders. Hooray! 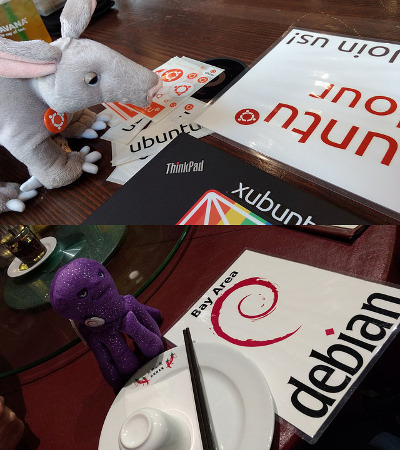 With that, and then the rest of my work day, behind me, that Wednesday evening was spent doing an Ubuntu Hour and a Debian Dinner. I hadn’t done either one in over a year. Declining turnout and disappointing attendance at a 16.04 release party last June let me to shift it to the back burner commitment-wise. I wasn’t sure I’d pick it back up again at all. A small BALUG meeting where we talked about the latest Debian release and desire to connect with some Ubuntu folks following some big changes this year (discontinuation of the Ubuntu phone/tablet, shuttering of the Unity project) inspired me to take some time to plan another one. We had 7 people come out across the two back-to-back events, including a couple new folks. This is a high average for these events and I had fun, so I was glad I took the time. 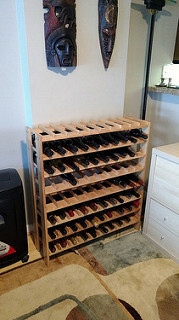 After the meetup I set aside a few minutes to meet one of my neighbors who was giving away an 80 bottle wine rack that seemed like it would suit our condo nicely. Indeed it does! He helped me bring it down and I put it together over the weekend. It’s a massive improvement over the pile of boxes in the corner that the wine had been in previously. I did catalog all our wines (both here in and Pennsylvania) in a spreadsheet recently, but I still had to dig through a bunch of boxes to find the one I wanted. Aside from setting up the wine rack, I had a pretty chill weekend. I wrote a letter, read a lot. Before he left, MJ raided the Yahoo! 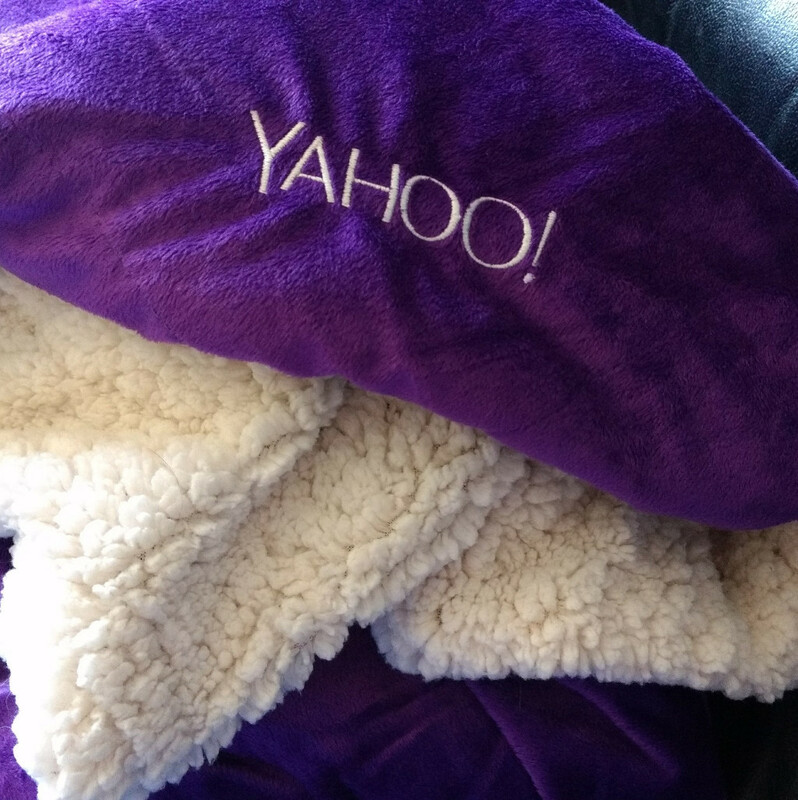 company store and picked me up a soft, fluffy purple blanket. It’s perfect for snuggling up and enjoying some reading or TV. It’s also Caligula approved. Sunday was spent in Santa Clara for a conference I write about here. I then took Monday off to make up for the day, something I’m quite proud of myself for doing self-care wise, as I’m prone to work way too much. 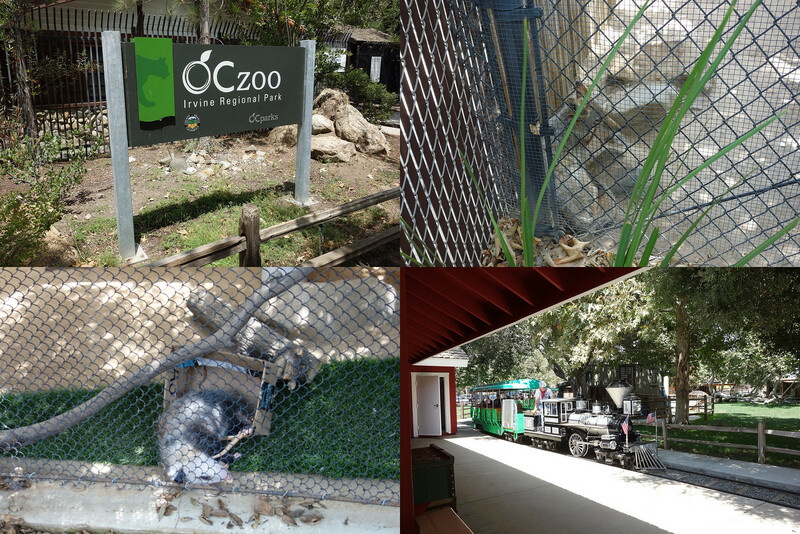 During my quick jaunt down to Los Angeles last week I made a quick stop in the tiny Orange County Zoo with my friend Nathan after lunch. It’s a park that specializes in local animals, so the big draws of the zoo included a bear, a bobcat, and various large eagles. It was a pretty hot day, so most of the animals were sleeping through it, but even that was pretty adorable. The bear took advantage of the weather to take a bath, and the opossum sleeping in an Amazon box was pretty much my favorite thing ever. We also took a ride on the super cute, 1:3 scale Irvine Park Railroad before heading back to my hotel to get some work done and prep a demo cluster before the evening Meetup. My 8:30AM flight home on Thursday morning was early, but the John Wayne airport is small and the trip was uneventful. Finally reunited on Thursday morning, MJ and I immediately ran off to our respective offices for a couple busy work days. Thursday I also had a new monitor delivered at home, an Acer GN276HL bid 27-inch. 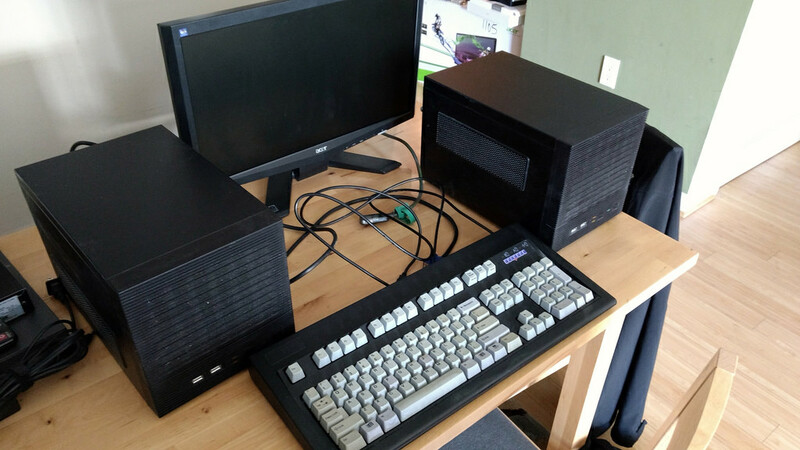 Both my current 22″ monitors were fine, but they only have VGA and DVI outputs. My current work laptop, which I use while working from home half the time, is the first laptop I’ve had that lacks a VGA port. I played around with DVI-to-HDMI and VGA-to-HDMI but there was an annoying amount of fiddling every time I plugged it in because the auto-detection wasn’t great. As a result, over the past 6 months I’ve left my second monitor dark as I just used my laptop screen at home, on my desk, but it wasn’t optimal. While this monitor doesn’t have crazy impressive resolution like my one at work, the price was right and so far it’s working great. MJ and I spent the together and playing it pretty low-key this past weekend. Saturday I spent much of the day reading and watching a couple episodes of a show MJ and I watch together. The only event of the day was brunch at the Delancey Street Restaurant, which we’d never been to but was quite good. That was how we found out about the closures of the Muni Metro on weekends and late evenings for a month while they test the new light rail cars. We picked it up at the Embarcadero with dozens of folks headed to the Giants game. A beautiful day, I walked home from the restaurant, stopping at Philz for a coffee to balance out the couple of sour beers (Duchesse de Bourgogne and Petrus Aged Pale) I had with my crab cake Benedict. Yesterday MJ and I met up with my cousin Keith who is in town for work. We drove down to Sutro’s at Cliff House for a late lunch, then took a drive through Golden Gate Park, then up to Twin Peaks. 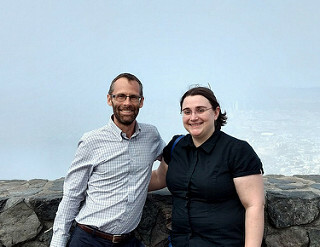 Unfortunately the fog was obscuring the breathtaking views that can usually be seen from there, but we got a picture together anyway. It was a good afternoon. It had been twelve years since we’d seen each other, and with my big family spread out all over the world this was the first time in our lives we were able to really spend any significant time talking. Sunday evening was spent tackling some triage on our media and backup servers we keep here at home. Both seemed to have some issues with disks in their RAID arrays and one may have a failing SSD, which stores the operating system. There are some gremlins, but we’ve made some decisions about how we want to move forward. Now to order some drives! And now another work week! This evening a bunch of us from the office are making our way down to AT&T Park to see a Giants game, which should be pretty fun, it should be a beautiful evening for it. This entry was posted on Monday, July 24th, 2017 at 12:28 pm and is filed under animals, caligula, computers, events, family, life, LoCo, san francisco. You can follow any responses to this entry through the RSS 2.0 feed. Both comments and pings are currently closed. 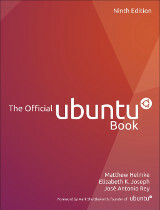 Entries (RSS) and Comments (RSS). 21 queries. 0.086 seconds.